The Visalia region offers an outdoor adventure for everyone in every season. 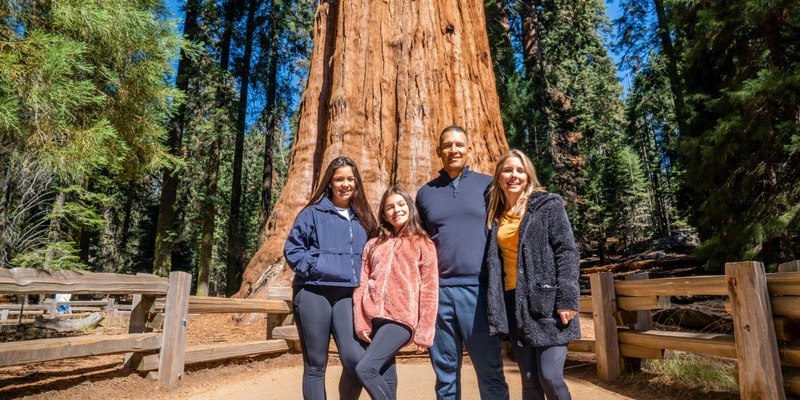 Whether you choose a quiet walk through the majestic gentle giants in Sequoia National Park or mountain biking in Balch Park, the natural beauty of our three national parks is unmatched. You can snowshoe in the winter, fish on Lake Success in the summer, and make your way through Crystal Cave in the fall. And the adventure doesn’t stop there! You’ll find tennis courts, backcountry horseback riding, hiking trails, shooting ranges, paintball fields and more in and around Visalia!